Whether they're a cheesy couple or you want to add a quirky touch to their home together this personalised cheeseboard makes a perfect gift to commemorate their first Christmas as Man and Wife. Made from beautiful beech wood the board can be twisted to reveal a cute set of mini cheese knives within, making a valuable addition to their kitchen. 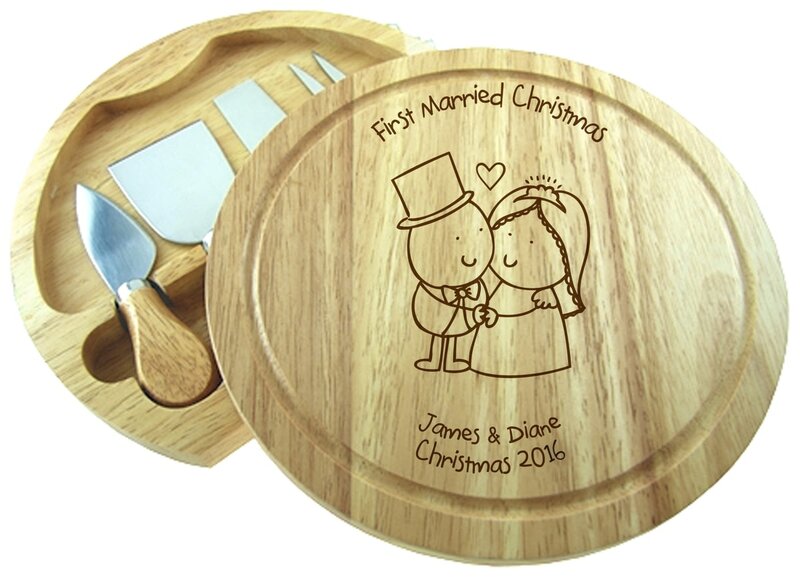 With a cute Chilli and Bubbles bride and groom in the centre, and your message engraved into the wood, this gift is not only useful but will bring a smile to their face whenever it's used.